Idol Worship in Christianity? Yes, it’s a thing. Idol worship in Christianity? Who even does that? When we read about idol worship in the Bible, we might have a hard time understanding how God’s people could bow down to any other “god” than the one true God. The God who revealed himself through a cloud; a pillar of fire; a burning bush. Through all things He created. Through His spoken and written Word. He’s the great I AM, after all. He can hardly be described in human terms. We don’t want to think that another other entity, ideal or man-made object could capture our hearts and compete with our desire to serve the Lord – much less replace that desire. 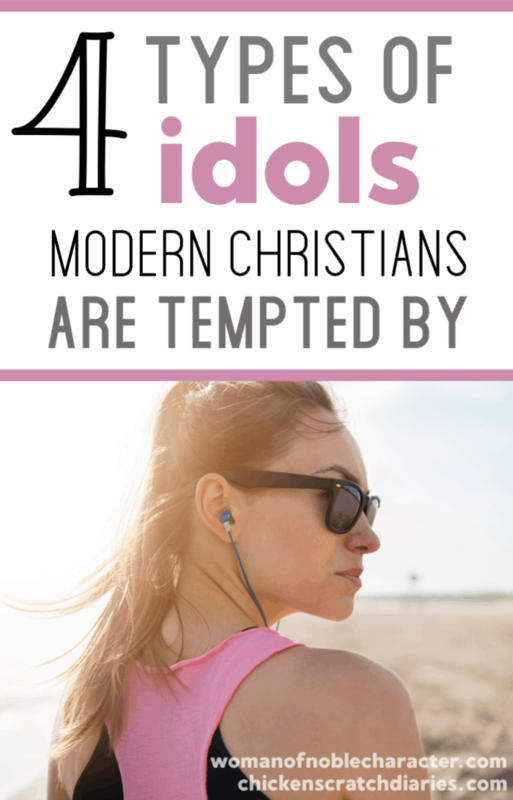 Yet, I’ve noticed that our modern day idols, though different – are still in existence. I’m thankful to be guest writing over at Woman of Noble Character on this topic today. 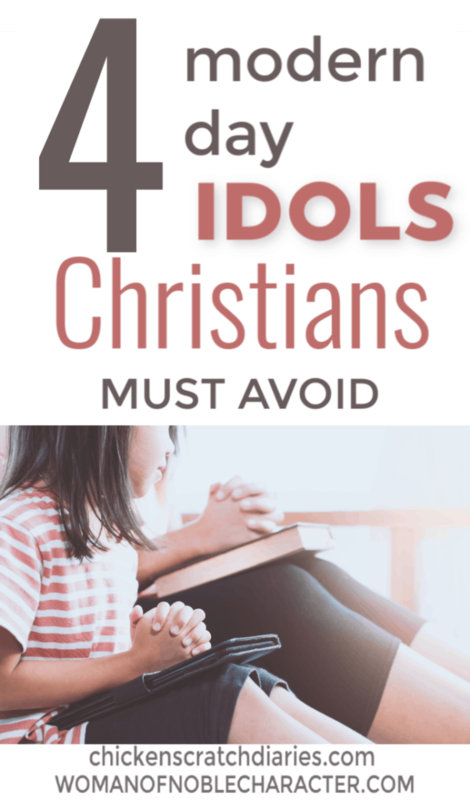 I’m not sure what spurred me to write about idol worship of all things – other than it’s a thought that the Lord has made me acutely aware of recently. It’s like I can hear Him cautioning me to be so very careful. To accept His rich blessings upon my life, yet hold loosely to them. And to recognize that even the best things God provides in this life cannot compare to the spiritual blessings he has given us – or is preparing to give us for all eternity. Oh, the distractions we have to contend with! God is so good and faithful to provide all of our needs, and so much more. But the truth is, anything that we place above God’s rightful place in our lives (#1), can easily become an idol. It’s not typically the type that are carved out of wood or chiseled from stone, either. So it’s important to recognize the ways in which these idols can manifest in our lives – what they look like and why they’re so tempting to begin with. Read the full article here: When Good Things Become Idols. « Are You Intentionally Spending Time With Family – or Just Marking Time?